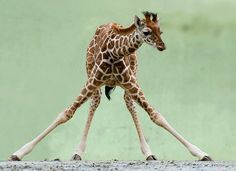 Why Do I Move Like A Baby Giraffe After Exercise? The pain of getting up and down from the toilet, climbing up stairs, reaching up to get something from a cupboard and getting in and out of the car is sometimes nothing short of excruciating following a big gym session. The groans can be heard from a mile off and the soreness certainly doesn’t count unless you post a pain related meme about it on social media. But why exactly do our muscles decide to bestow us such unbearable pain and leave us walking and moving like a baby giraffe following some gym sessions? Should we aim to attain this discomfort after every session? Is it even an indicator of a better workout? Is there anything we can do to prevent it? The pain we experience in our muscles following exercise is called the Delayed Onset of Muscle Soreness (DOMS). DOMS is primarily triggered by small muscle strains and is essentially a small degree of muscle fibre damage. This muscle soreness can range in its degree of severity, from slight muscle achiness to severe pain that has the potential to limit range of motion. 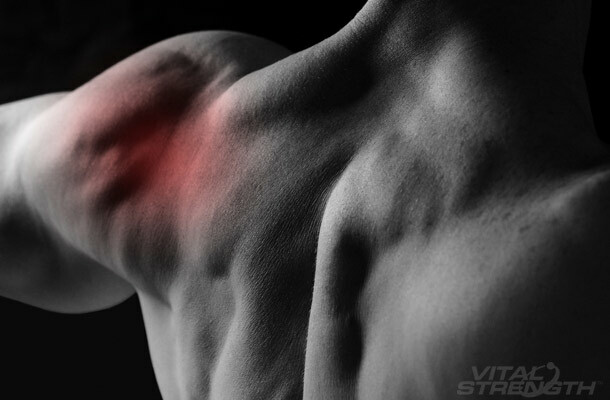 The soreness can vary in its onset, but it usually commences approximately eight hours post workout and peaks from anywhere to 48-72 hours later. DOMS is often more pronounced in people who are new to working out or have been recently exposed to unfamiliar or intense physical activity. Experienced lifters will also feel soreness after some sessions, especially when they have introduced a new stimulus (e.g. a particular exercise or training protocol) to their training programme. You’ll also notice a great degree of soreness if you’ve ever taken one or two weeks off from training. Muscle soreness is also sometimes more prominent in certain muscle groups (namely the legs, as I’m sure you’re aware) as well as certain types of exercise producing more significant muscle damage – specifically movements that place a greater deal of tension on a muscle when in a fully lengthened position. Why Do I Feel Sore? Our muscle tissue contains sensory nerve endings called nociceptors. These receptors can sense inflammation and microtrauma in connective tissues – both outcomes of exercise induced muscle damage. Muscle substrates are released into the space where nociceptors are located which then send pain signals to the brain, heightening the feeling of discomfort. Does DOMS Indicate A Good Session? Many people strive for the feeling of soreness after every workout and feel they haven’t worked to their full potential if they don’t feel some discomfort in the following days. Is this a true measure of a successful session, and importantly muscle growth, though? It’s important to remember that the main goal of most gym, specifically resistance based, sessions is to elicit some form of muscle growth, specifically through muscle damage. However it’s been shown that muscle soreness is not an accurate gauge of how much damage has been caused in the muscle. It is possible for severe DOMS to develop with little or no indication of muscle damage and conversely severe damage to occur without the onset of soreness. It’s also worth noting that people who train infrequently tend to get DOMS more regularly, whereas people who train more frequently don’t. Yet higher frequency training tends to have a stronger link to more muscle growth. Essentially you don’t need to experience muscle soreness post training to build muscle. It’s also probably not the best idea to rely on it as an indicator of productiveness. DOMS has also been shown to decrease the amount of force production available, as well as reduced activation of the desired muscle, so aiming to initiate the onset of soreness will only prove detrimental to the amount of work we can exert in our following sessions. Unfortunately there hasn’t been one dependable method found to completely the eliminate the effects of soreness, but several studies have discovered potential ways to reduce the feeling of discomfort. Most people believe that stretching before and after a workout will prevent the onset of muscle soreness, however there hasn’t been any evidence to demonstrate a reduction in DOMS following a significant warming up or stretching protocol. The use of self-massage (e.g. using a foam roller) to isolate specific soft tissues, however, could potentially alleviate the onset of soreness and expedite the recovery process. The ingestion of caffeine pre-workout has also been found to possibly reduce the manifestation of DOMS, due to the effects it has on the central nervous system. It is worth noting, though, that a significant amount of caffeine, and not necessarily as coffee, may need to be ingested to have a worthy effect. The use of supplements taurine and BCAA’s utilised together have also been found to reduce muscle damage and subsequent pain, largely due to their ability to improve water content in muscle fibres, therefore reducing muscle damage. It is again worth stating that a significant dosage, and for a sizeable period of time, would need to be consumed to have a credible effect. Some more practical approaches to reducing the materialisation of soreness may include minimising the use of eccentric (muscle lengthening) contractions when starting a new programme and ultimately just training more regularly. It’s been consistently found that icing, including cryotherapy, anti-inflammatories, arnica and glutamine will provide very little, if at all, benefit in reducing the effect of DOMS. As well as being significantly painful and demotivating, there’s been little evidence to show that DOMS can be related to any sort of muscle growth, resulting in it being a poor indicator of any progress potentially made in the gym. Ultimately it’s is just a side effect of training and is neither necessarily a good, nor bad thing. DOMS may well be inevitable due to the irregularity of the gym goer and even the type of exercise, but while there has been some supplementation and methods found to reduce soreness, there’s no catch-all technique to eliminate the manifestation of DOMS completely. Embrace the discomfort, know that it won’t last forever and start to train more regularly! © 2018 Daniel Harrod. All Rights Reserved.